This classic Pineapple Upside Down Cake recipe brings back so many memories of a fancy dessert that graced my Mother's dinner table growing up in the 60's. 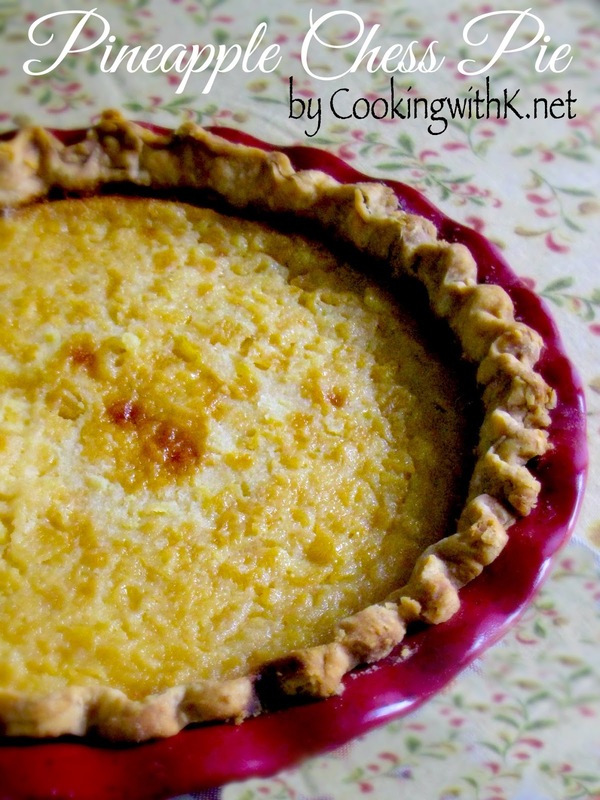 The original recipe came from Dole in the 1950's, and after that you could make it as elaborate as you wanted to by adding pecans, coconut and other ingredients, but Mother always made it with the simple recipe. 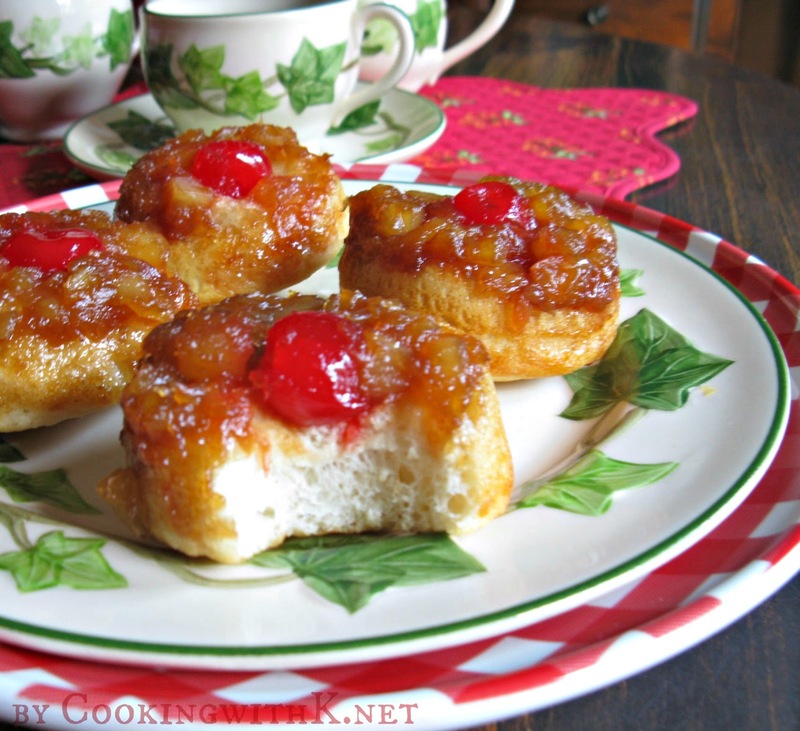 It consist of a delicate cake mix topped with maraschino cherries and a ring of pineapple caramelized to perfection with a buttery brown sugar mixture. I thought baking Pineapple Upside Down Cake is a wonderful recipe to create new memories, and it brought just that with my grandchildren. Melt the butter in a 9-inch cast iron skillet. Add the brown sugar and stir well to thoroughly combine, then turn off the heat -- don't cook it. Arrange 8 pineapple slices in a single layer over the brown sugar mixture (your 9-inch skillet should accommodate 8 slices without overlapping). Place maraschino cherries in the center of the pineapple and around the outside. Set the skillet aside. Prepare the yellow cake mix as printed on the box, replacing some of the water with pineapple juice. Pour cake batter over brown sugar, pineapple, and cherries. Bake 45 minutes. Loosen cake around the edges, place a plate or serving tray over the cake, and turn the cake over. This one looks easy enough and since it's Granny's recipe, I'm sure I couldn't screw it up. Looks delicious! 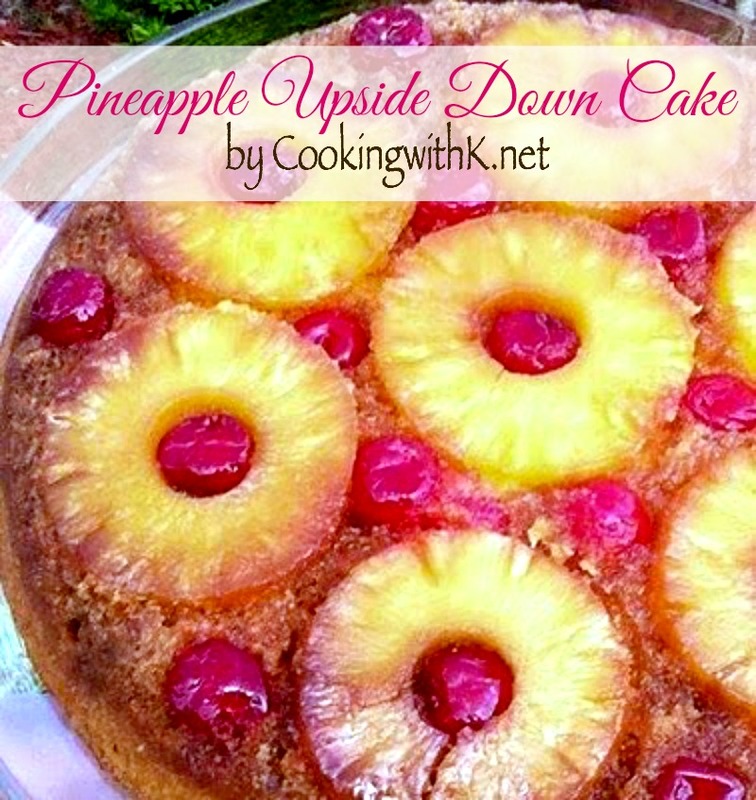 This has always been one of my go-to recipes for pineapple upside down cake. Yours looks so pretty and delicious. That looks so yummy! I've never made one, but this makes me want to try it! My favorite...I grew up with this cake, made it for my kids and now make it for grands.